Epic smiley let's loose with all it's epicness. 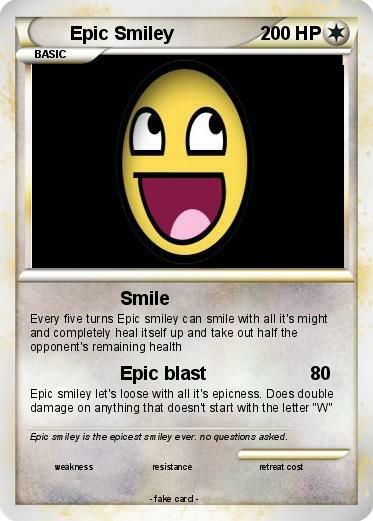 Does double damage on anything that doesn't start with the letter "W"
Comments : Epic smiley is the epicest smiley ever. no questions asked.